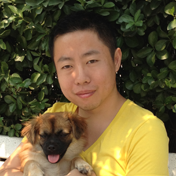 My name is Richard Huang, the Founder of Xinmin Labs, I'm also a senior software engineer who has a strong focus on code quality, server performance and scalability. I have some devops experience. I have production experiences with deployment tools like Chef and Puppet. I'm familiar with cloud hosts like AWS, Heroku and other VPS. I love contributing to the open source community, have built bullet and rails_best_practices gems. I'm also the founder of rails-bestpractices.com, railsbp.com and rails-brakeman.com. I spoke at RubyKaigi 2011, Railsconf 2012, RedDotRubyConf 2013, RubyConfTW 2014, RubyKaigi 2014, Euruko 2015, RubyConf Au 2016 and many times at ruby/rails conferences in China. Please go to my presentations page to see more. I have built a large high-traffic platform, with more than 250 million users, handle more than 300k rpm. I also built some async non-blocking api services, based on EM + fiber, only 16 ruby instances can easily handle 240k rpm.